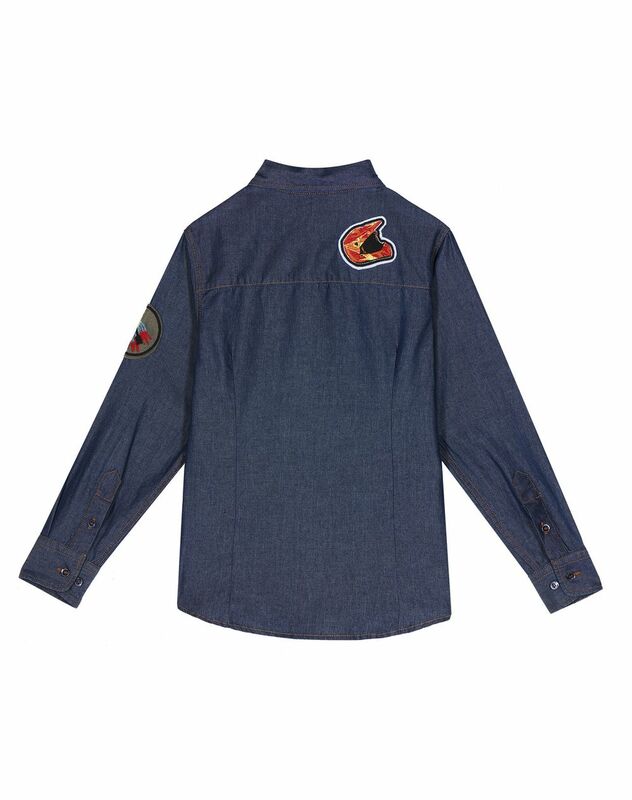 Long-sleeved blue denim shirt, exclusive patches, Lanvin logo embroidered on the chest, shirt collar, contrasting topstitching, and front buttons. 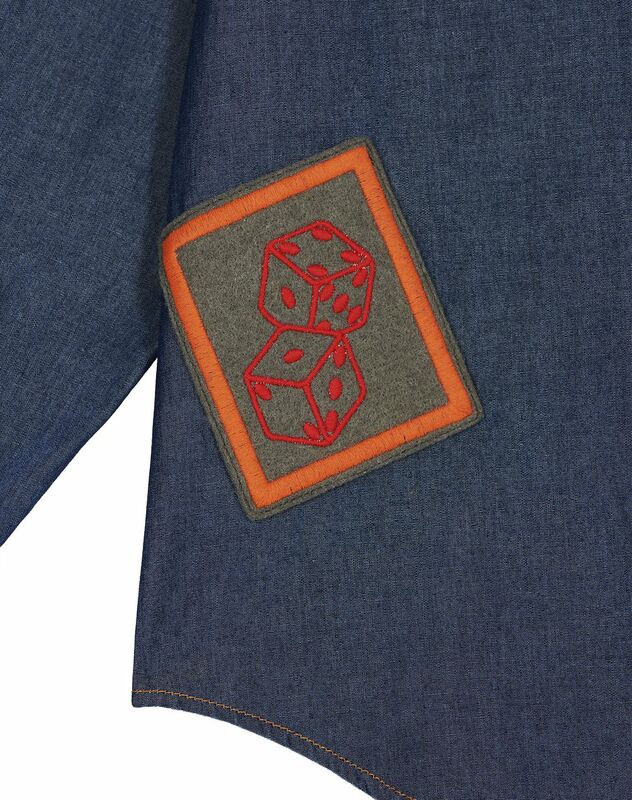 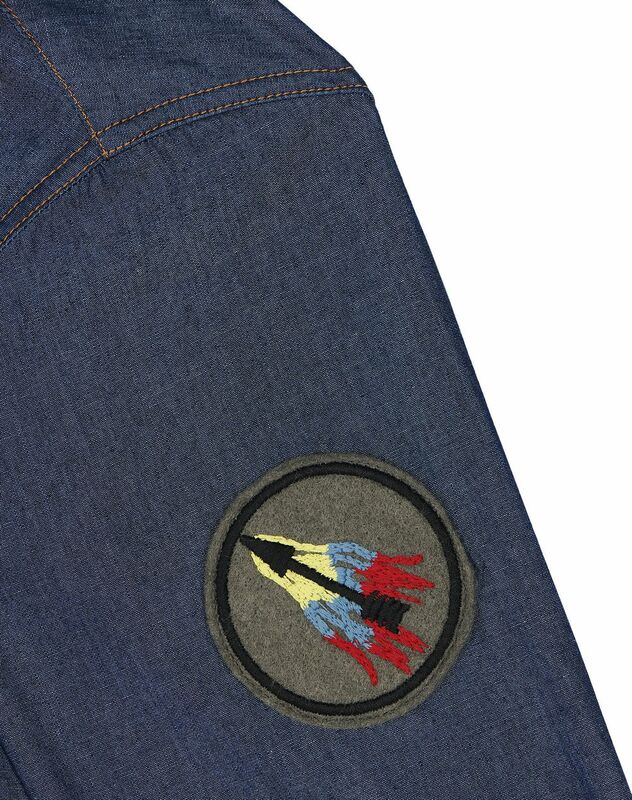 Inspired by the men’s wardrobe, this denim shirt has unique exclusive patches, the key theme of the Lanvin Men’s Fall 2018 Collection. 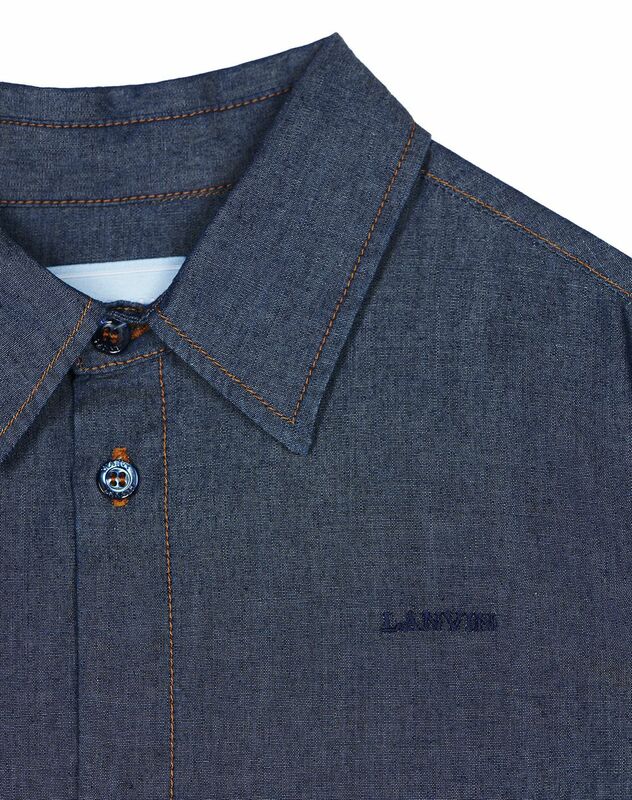 Elegant yet casual, this denim shirt is a must-have Lanvin item.